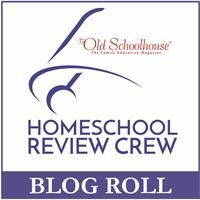 The Bible has always been in my kids' lives. 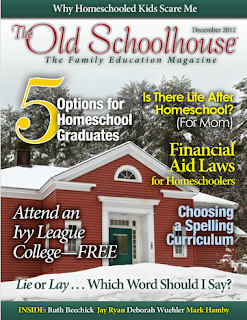 They hear it read at church, Sunday school, family devotions, and their own private devotions. 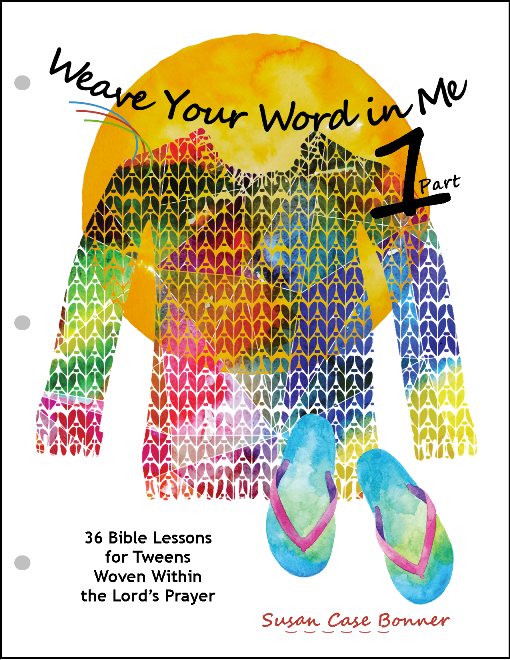 We recently received a Bible study guide from Kid Niche Christian Books called Weave Your Word in Me -- Part 1. Weave Your Word in Me --Part 1 is a bible study guide for tweens in grades 4-6 that uses the Lord's Prayer in each lesson. There are 36 lessons in Part 1 and it is divided into two sections; God The Father and God The Son. Part 2 is also divided into two sections; What God Wants and God The Holy Spirit. Part 1 & 2 can be purchased together or separately, we have been using only Part 1. This Bible study wants young people to understand who God is and how to talk to Him. It starts with a rhythmical prayer called My Whole Self Before You modeled after the Lord's Prayer. It can be used with King James, New King James, New International, English Standard Version, New American Standard Bible, or the New American Bible Revised Edition Bible translations. The study is on 72 pages of loose leaf paper punched and ready to add to a 3-ring binder. When it arrived in the mail it had been very carefully wrapped in paper and cardboard. Each sheet has a line from the My Whole Self Before You in a colored box on the left side of the page. All the lessons include bible verses to look up with fill-in-the-blank questions and prayer boxes to fill in. There are also definitions boxes, colorful pictures, coloring pages, plays, true & false questions, and matching activities. There is also an answer key that includes all the answers even if the wording is different because of the different translations used. Alaina is still technically a tween at age 12, so that would put her on the older side for using this Bible study. We like using the New American Standard Bible and was pleasantly surprised when that was one of the translations recommended for this study. Alaina really liked how the pages are set up and each lesson didn't take that long for her to complete. 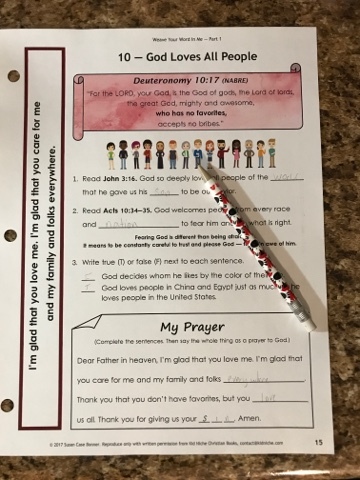 We thought having the line from My Whole Self Before You on the left side of each page was a good idea but wondered why the corresponding line from the Lord's Prayer was also not included. I think this is actually a little too easy for her and she would have really liked it a few years ago. But I do teach a lot of Sunday School classes and I know that there are some kids in there that this would be perfect for and I may choose to order this for them to use next time I teach. Weave Your Word in Me was written by Susan Case Bonner. She has been involved in helping children of all ages know God through His word. 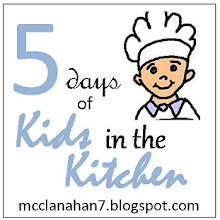 Kid Niche Christian Books produces resources that help kids interact with God in life-changing ways. They offer bible guides for all ages of children and a devotional for families.